It is finally here!!! 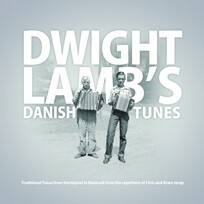 The tune book Dwight Lamb’s Danish Tunes, with the collected tunes that his grandfather, Chris Jerup, brought along from Vendsyssel in Northern Denmark and all the way to Iowa, USA in 1893. It is released and now available for everybody through the great publisher Edition Svitzer in Copenhagen who publish and distributes high quality sheet music world wide. The tune book includes 40+ tunes with texts in English and Danish and many great new and old pictures. The tune book can be ordered via this link: http://editionsvitzer.com/catalog/3h54i2dayb/c-23/p-1481 and will be mailed to allover the world! « The new Habadekuk CD, “Mollevit” is here!! !